Nowadays, many of us own more than one computer, whether it be desktop or laptop, PC or Mac. One of the great benefits of ConceptDraw products is that we license per named user. It doesn’t matter if you have two PCs, two Macs; or a Mac and a PC, as long as you are the only user of the product you can install it wherever it’s needed. Many company’s require you to license per machine, but we take a more user-friendly view. Technically you can install on a second computer at home, our licensing agreement allows you to do that. However, if your workplace purchased the license for your use at work, the ability to install on a second computer at home is determined by your workplace policy that states how company property (software) can be used. 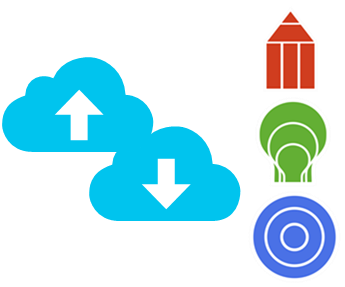 ConceptDraw products use a cloud-based license model. This means that your license will be automatically added to your ConceptDraw.com account and saved there permanently. Thus you don’t have to worry about losing your license if your computer crashes or you want to install on a second system. When running offline, the ConceptDraw applications will run in the mode featured for the license type, assigned to your ConceptDraw.com account.